Even standard implants can be used for complex total hip arthroplasty, whereas custom-made prosthesis should be reserved for selected special cases. Orthopaedic Department, University Hospital Basel, Switzerland. Orthopaedic Department, Universitäts-Kinderspital beider Basel, Spitalstrasse 33, 4056 Basel, Switzerland. Orthopaedic Department, SpitalUster, Brunnenstrasse 42, 8610 Uster, Switzerland. University of Basel, Medical Faculty, Klingelbergstrasse 61, 4056 Basel,Switzerland. Universitätsspital Basel, Spitalstrasse 21, 4031 Basel. Switzerland. Introduction: Kniest dysplasia is associated with short body stature (dwarfism) and impairment of the musculoskeletal system due to a mutation in the COL2A1 gene coding for a protein that forms type II collagen. Hip endoprosthesis for patients with Kniest system requires a specific femoral shaft design since the medullar space is limited due to the underlying dysplasia. The Wagner cone stem has shown excellent results. It is especially suitable for patients with small or dysplasic femur. 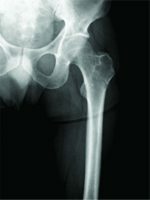 However, no data exist regarding hip endoprosthesis in a patient with Kniest syndrome. 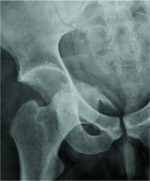 Case Report: A 32-year-old female patient with Kniest syndrome presented at our department with a painful pseudarthrosis after femoral valgisation osteotomy 8 years ago. A Wagner cone stem and acetabular roof cup with a cemented Ecofit cup 2M (dual-articulation acetabular cup system) were implanted due to a dysplastic femur with a small medullary space. The Ecofit cup itself is associated with a reduced risk of dislocation. The patient was satisfied with the range of motion after hip endoprosthesis and reported a significant increase in quality of life. The patient is still comfortable with the hip prosthesis at the most recent follow-up 4 years after implantation. Follow-up radiographs over 4 years have not revealed any signs of loosening or migration, and no Trendelenburg sign was reported for the affected side. Conclusion: The Wagner cone stem provides a good solution in challenging femora caused by previous osteotomies, fractures, or dysplasia. Additional stability of hip prosthesis can be achieved using a dual articulation acetabular cup system. Furthermore, we applied an attachment tube based on the concept of tumor prosthesis where the abductor muscle group got reattached. Keywords: Kniest syndrome, Wagner cone stem, Dual articulation acetabular cup system. Kniest dysplasia is associated with short body stature (dwarfism) and impairment of the musculoskeletal system due to a mutation in the COL2A1 gene coding for a protein that forms type II collagen. Hip endoprosthesis for patients with Kniest system requires a specific femoral shaft design since the medullary space is limited due the underlying dysplasia. The Wagner cone stem has shown excellent results. It is especially suitable for patients with small or dysplasic femur [2, 3]. However, no data exist regarding hip endoprosthesis in patients with Kniest syndrome. A 32-year-old female patient with Kniest syndrome presented at our department with a painful pseudarthrosis after femoral valgisation osteotomy at the left side 8 years ago. The patient was informed about total hip replacement with osteosynthesis removal,and a conventional X-ray was obtained as well as computed tomography of the pelvis and an orthoradiogram. The trochanter major was not apparent due to a non-union after femoral valgisation (Fig. 1). A Wagner cone stem (Zimmer, Warsaw, IN, US) was implanted since radiological imaging revealed a dysplastic femur with a small medullar space and short femur. The Wagner cone stem is normally anchored in the proximal femur. However, we applied the Wagner cone stem with distal fixation which is not designated for this kind of stem but for revision stem shaft types. We achieved an adequate hip stability in this specific case using an acetabular reinforcement ring (Zimmer, Warsaw, IN, US) with a cemented Ecofit cup 2M, and acetabular bipolar cup system (Implant cast GmbH, Germany) (Fig. 2 and 3). The cemented acetabular bipolar cup prevents a dislocation to a certain extent per se and contributes to total hip stability. The gluteus muscles were detached and retracted with a bone flake using a lateral approach, whereas a subvastus approach was performed for surgical exposure of the proximal femur. The acetabulum was first addressed,and an acetabular reinforcement ring with cemented Ecofit cup was implanted with correct alignment. Due to the poor bone quality, we reinforced the acetabular component with screws (Fig. 2 and 3). The proximal femur showed intramedullary ossification which required preparation with a chisel and a drill to prepare the medullary cavity for further stem implantation. In this special case, we could reduce the risk of dislocation using an Ecofit cup in combination with an appropriate torsion of the stem. Thus, the Wagner stem was implanted with more anteversion to reduce posterior luxation. In addition, the abductor muscle group was sutured to an applied attachment tube (Implant cast GmbH, Germany) based on the concept of tumor prosthesis providing adequate reattachment of the bone flake with the gluteal muscles. 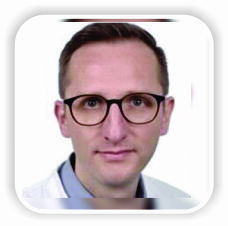 The surgery was performed by the senior author (AMN). The patient was mobilized with weight bearing of 15 kg and a flexion limit of 60° for 6 weeks after surgery. The wound healing period proceeded without any complications although type II collagen is important in early wound healing and known to be compromised by a mutation in the COL2A1 gene. This finding corresponds with another study about head and neck surgery in patients with Kniest dysplasia with no impaired wound healing . Follow-up showed flexion of the hip up to 90° at 7 weeks after surgery. Weight-bearing was increased to 30 kg and flexion was limited to 70° at sitting position. Weight-bearing and hip flexion were step wise increased during follow-up time, and the patient was able to walk without crutches and no sign of Trendelenburg 2 years after total hip arthroplasty (Fig. 4). Her mobility and quality of life after surgery increased so that she was able to return to work. The patient is still satisfied with the range of motion 4 years after hip endoprosthesis and reported a significant increase in quality of life. X-rays revealed no signs of loosening or migration during the entire follow-up time (Fig. 4). Literature shows good long-term results of the Wagner cone prosthesis also in patients with multiple previous operations. Moreover, it can provide a good solution in case of dysplasia [3, 5, 6]. An acetabular reinforcement ring is recommended for acetabular revisions or for patients with poor bone quality. However, a study of 384 cases at a mean follow-up of 15 years has shown excellent survivorship rate and absence of instability for dual articulation acetabular components in primary arthroplasty . 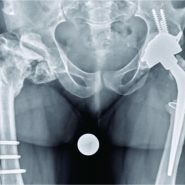 In addition, excellent long-term survival rates were reported for acetabular reinforcement ring in primary acetabular revisions . For the present case, an acetabular reinforcement ring was used since the quality of bone stock was unknown and due to potential impaired bone healing by the Kniest syndrome. In this case, we saw good implant integration. A possible cause could be the additional screw connection of the cup-system. The follow-up X-rays revealed new bone formation at the region where abductor muscles were fixed to the attachment tube in terms of a new greater trochanter and no signs of loosening (Fig. 4). To sum up, we can explain the excellent clinic and radiologic outcome by the different components which got used as well as the right torsion angle of the stem. Challenging cases need an individual solution. To find the right solution, knowledge of the different prosthesis systems is crucial. 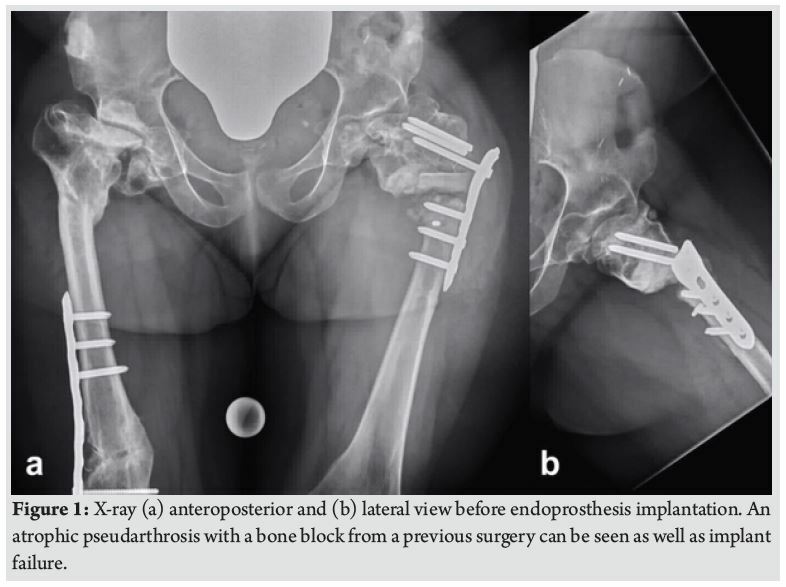 This case report intends to raise awareness that even standard implants can be used for complex total hip arthroplasty, whereas custom-made prosthesis should be reserved for selected special cases. 1. Avalible from: https: www.//ghr.nlm.nih.gov/ condition/kniest-dysplasia. [Last accessed on 2017 Dec 12]. 2. 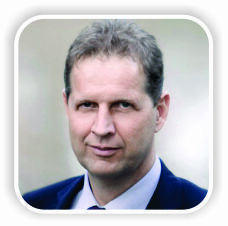 Schuh A, Schraml A, Hohenberger G. Long-term results of the wagner cone prosthesis.IntOrthop2009;33:53-8. 3. Parry MC, Vioreanu MH, Garbuz DS, Masri BA,Duncan CP. The Wagner cone sem for the management of the challenging femur in primary hip arthroplasty. JArthroplasty2016;31:1767-72. 4. Husain Q, Cho J, Neugarten J, Modi VK. 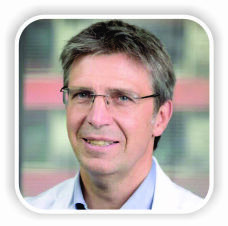 Surgery of the head and neck in patient with kniest dysplasia: Is wound healing an issue? Int J PediatrOtorhinolaryngol 2017;93:97-9. 5. Pavone V1, Costarella L, Privitera V, Sessa G. Bilateral total hip arthroplasty in subjects with multiple epiphyseal dysplasia. JArthroplasty2009;24:868-72. 6. Claramunt RT, Marqués F, León A,Vilà G, Mestre C, Verdié LP. Total hip replacement with anuncemented Wagnercone stem for patients with congenital hipdysplasia. IntOrthop2011;35:1767-70. 7. Philippot R, Camilleri JP, Boyer B, Adam P, Farizon F. The use of a dual articulation acetabular cup system to prevent dislocation after primary total hip arthroplasty: Analysis of 384 cases at a mean follow-up of 15 years. IntOrthop2009;33:927-32. 8. Greber P, Manzoni I, Ochsner PE, Ilchmann T, Zwicky L, Clauss M1. Excellent long-term results of the Mülleracetabular reinforcement ring in primary cup revision. ActaOrthop2017;88:619-26. 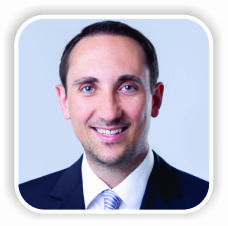 How to Cite This Article: Krenn P, Gehmert S, Krieg A H, Nowakowski A M. Challenging Implantation of Hip Prosthesis in a 32-year-old Patient with KniestSyndrome. Journal of Orthopaedic Case Reports 2019 Jan-Feb; 9(1): 62-64.